Results-based approaches are producing creative and dynamic solutions to development issues. 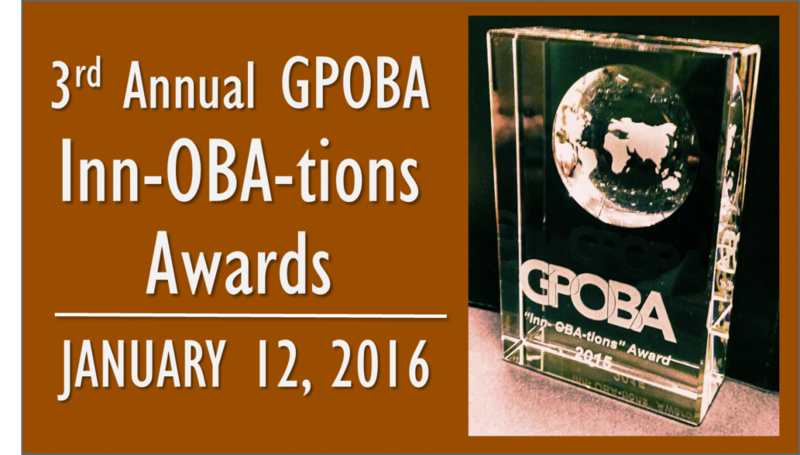 The Global Partnership on Output-Based Aid (GPOBA) presented its Third Annual Inn-OBA-tions Awards on January 12, 2016, recognizing the achievements of World Bank projects that employ particularly innovative methods. All winning projects used output-based aid (OBA) or other forms of results-based financing (RBF) to support the delivery of basic infrastructure and services for poor and marginalized communities. The four winning projects are West Bank Solid Waste Management (Pioneer Award); Moldova Biomass Heating and Energy Conservation Project (Social Inclusion/Green Award); Uganda Energy for Rural Transformation (Collaboration Award); and, Indonesia Local Government and Decentralization (Governance Award). (Click on the award categories for team and project information). The Inn-OBA-tions awards were divided into four categories to recognize specific achievements using results based approaches. The Pioneer Award recognizes a project that takes a visionary approach to working in less-tested sectors or challenging environments; the Collaboration Award goes to a project that leverages partnerships and exemplifies cooperation among World Bank units, governments, and/or other development partners; the Social Inclusion/Green Award honors projects supporting the development of green, inclusive, and resilient communities while addressing the social inclusion of the poor, vulnerable, and other excluded groups; and the newly created Governance Award goes to a project that exemplifies accountability and capacity building through effective governance.